A lustrous gem in a world-class setting! 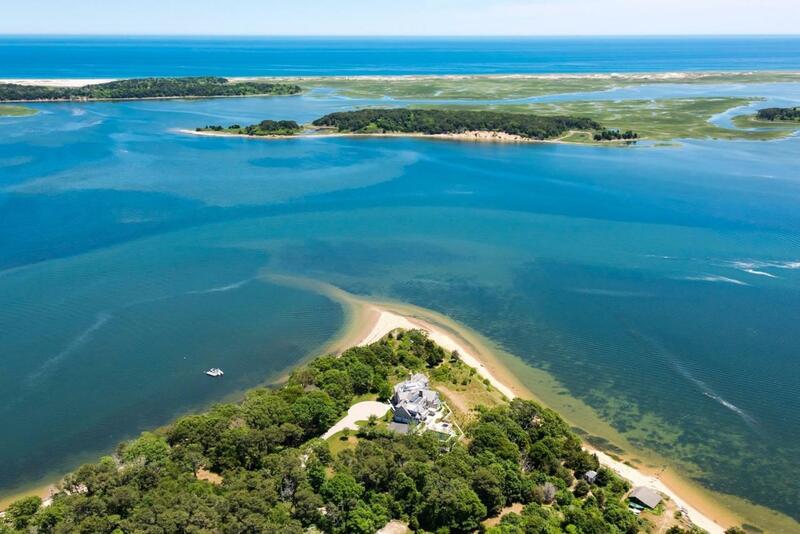 Secluded 4.4-acre waterfront estate on peninsula overlooking Pleasant Bay--one of the jewels of the Eastern Seaboard. Luminous new 8,500 sf residence offers magnificent views of a bay studded with islands, cut by winding rivers, and bordered by the Outer Beach and Atlantic Ocean. Set atop an elevated bluff surrounded by 900' of private sandy beach, the residence offers sophisticated, striking design; generous yet comfortable living spaces; beautiful architectural detailing; richly variegated water views; & flawless craftsmanship. Waterside Gunite pool, spa & outdoor kitchen, accented by granite terraces & gardens, are havens for entertaining and relaxing. Boathouse and moorings offer deep water access to world-class beaches, boating & fishing on the Atlantic. Cape Cod's 5-star resort is a 5-minute boat ride away; Chatham and Orleans fine dining & shopping destinations just 7 minutes by car. Utter brilliance in an exquisite setting. Directions to Property: From Route 28 in South Orleans, head east on Namequoit Road, follow past Pah Wah Pond on the right, continue on Namequoit Rd. At Kenrick, bear left onto Kingsbury Lane and follow to the end.